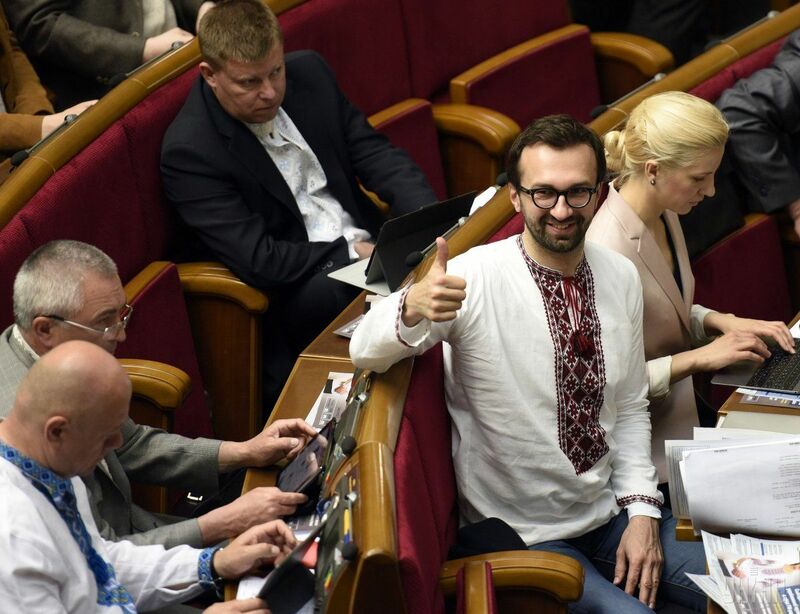 Member of Parliament from the Petro Poroshenko Bloc Serhiy Leshchenko, who earlier worked as an investigative journalist for the Ukrayinska Pravda online portal and is known for his anti-corruption campaigns, has found himself in the center of a real-estate-related scandal after it was revealed that he bought a flat worth some UAH 7.5 million in an elite-class building in downtown Kyiv. 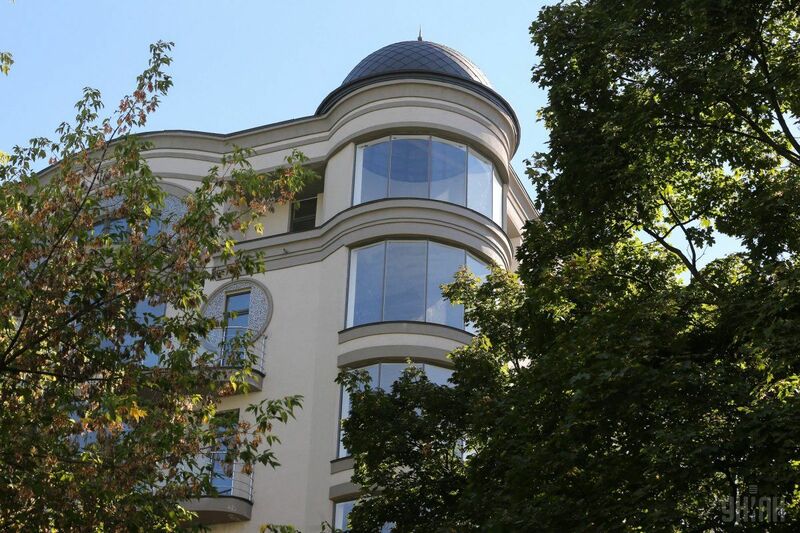 Investigative journalists have since analyzed Leshchenko's real estate holdings, according to the bykvu.com media outlet. 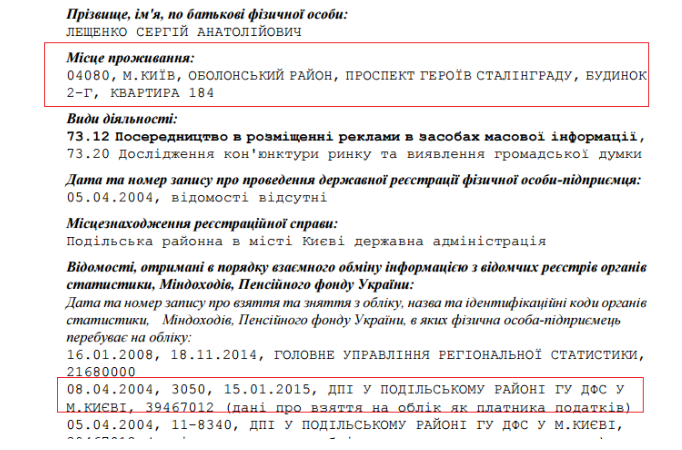 In particular, they looked into his registration address at 18/20 Turivska Street, apartment 4. This is the mailing address mentioned in his registration as a private entrepreneur. Later, a statement provided by Ukraine's State Fiscal Service mentioned 2g Heroyiv Stalingrada Avenue, apartment 184, the media outlet reported. This is the venue where the prestigious "Oasis" residential complex is located, in an area called Obolonski Lypky. Real estate portals describe Oasis as a high-quality building, constructed in 2008, offering stunning views of the Dnipro. The residential building has round-the-clock security, boasts its own infrastructure, including parking, a well-equipped embankment, a private yacht club and an aqua park. One real estate portal reports that a three-room flat, whose area is 105 square meters, is being sold for $244,000. 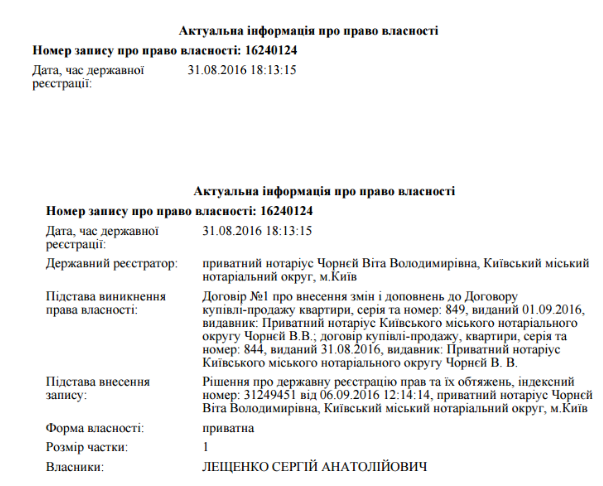 What's more, media requests sent to the State Property Rights Register received the response that, at the moment, Leshchenko was the owner of two more apartments. 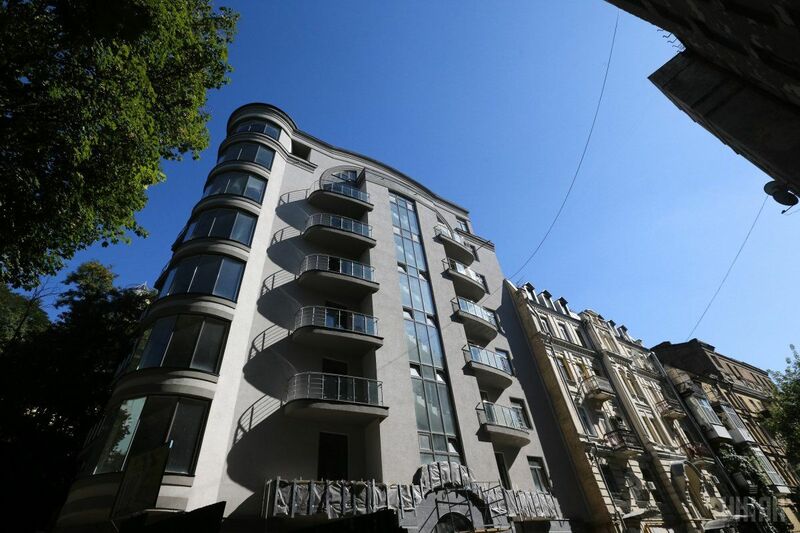 One of these apartments is at 11 Ivana Franka Street – a 192-square-meter apartment in a new building in the center of Kyiv, whose acquisition was confirmed by the lawmaker himself, and has triggered a significant scandal. The other apartment is located in a new building at 1a Vadyma Hetmana Street. 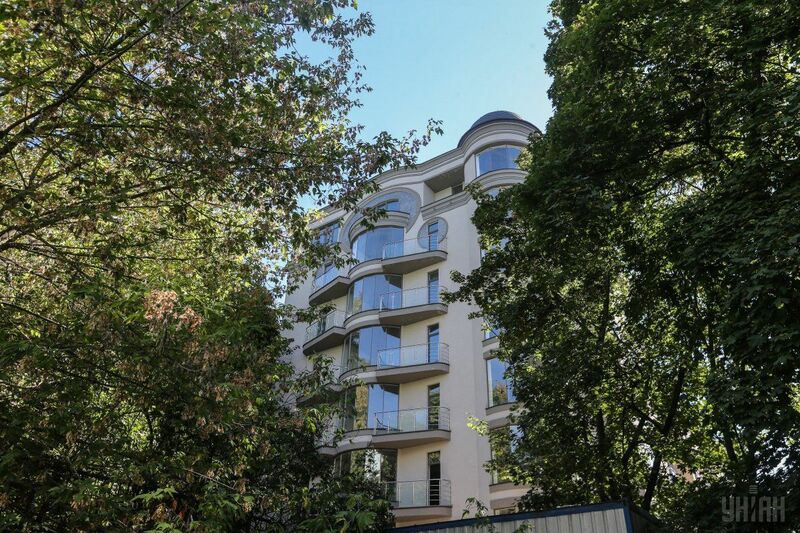 Leshchenko's asset declaration for 2015 lists two apartments – one is 60 square meters and the other is 24.9 square meters, where he owns only a third. 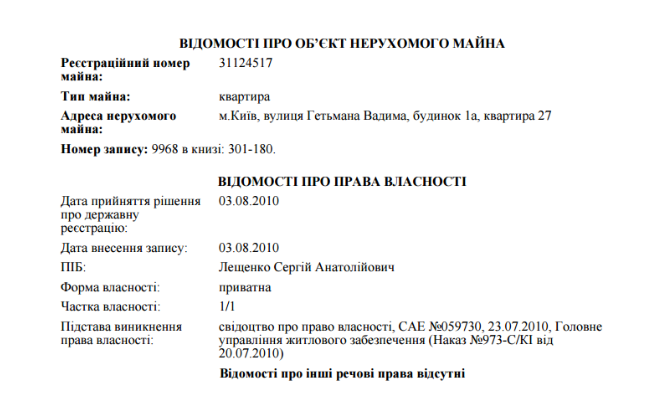 He added that the newly bought flat on Ivana Franka Street would be included in his new declaration. 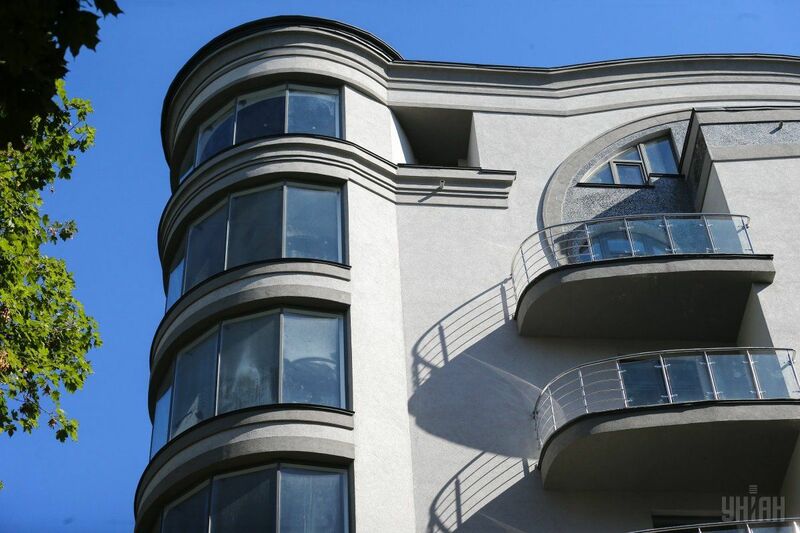 The journalists added that the following questions remain open: which of the two flats (at Hetmana or Heroyiv Stalingrada Street) was mentioned in the income declaration as property with an area of 60 square meters, and why was the other of the two flats not declared as assets? It is also unclear what kind of property the flat with an area of 24.9 square meters where the MP has a third share. "As for the latter – it is certainly not the one in the Oasis complex in Obolonski Lypky. This cannot be the flat at 1a Hetmana Street, as both estates offer property starting from an area of 50 square meters," Bykvu wrote. 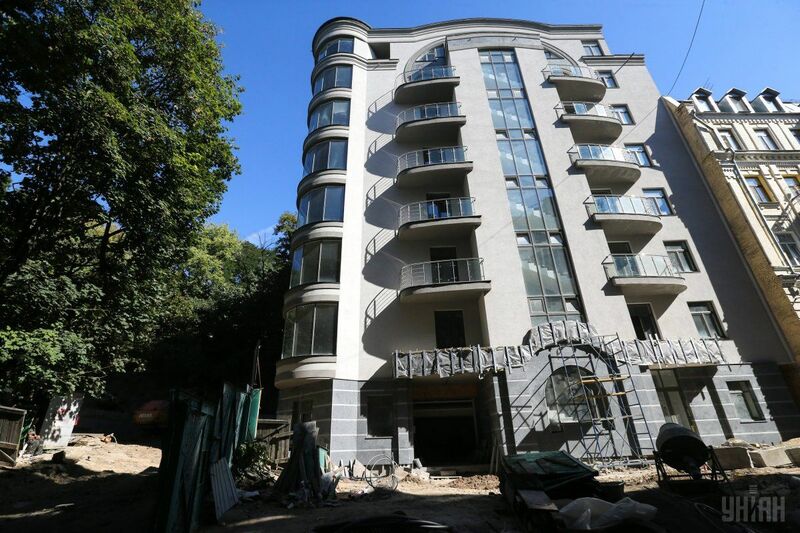 It became known on September 6 that Leshchenko bought an elite-class apartment in the center of Kyiv. The purchase agreement mentioned the price that is understated by UAH 2.2 million, and reveals no sharing of the sum with any other owner. 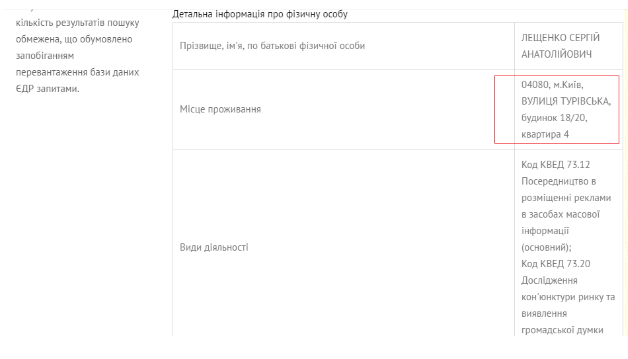 Prior to that, Leshchenko explained on his Facebook page that part of the payment for the apartment was received from his girlfriend, Anastasia Topolskaya.